When applying analytics to the sales process, it is important to understand what analytics can do for your business. There are three distinct levels in the analytics maturity model. Each successive level signifies that a company is more effectively integrating analytics into their operations. 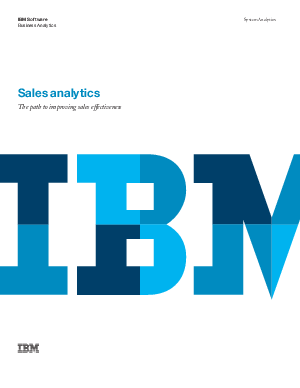 Download this whitepaper to learn more about applying analytics to the sales process.